I am admitting to a guilty secret. I am obsessed with chickens! It used to be the real thing when I had more time and didn’t have foxes living at the bottom of my garden. 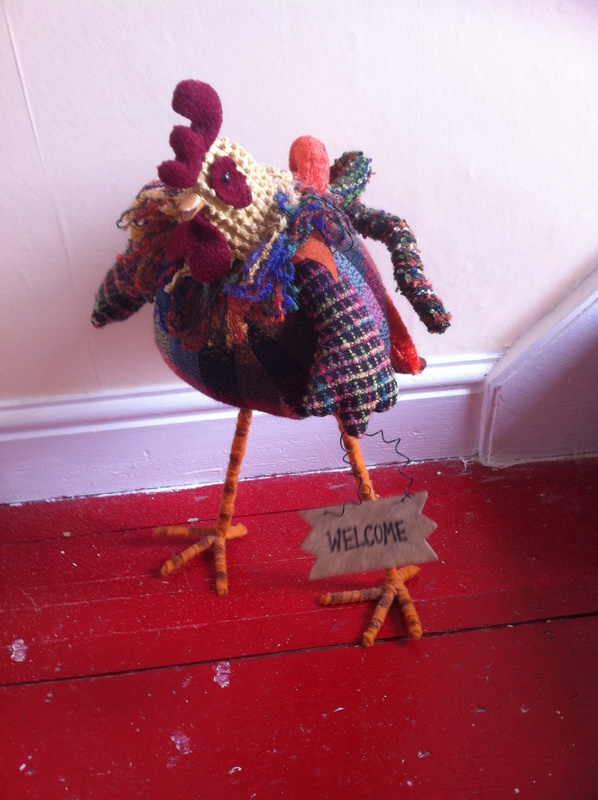 Now I no longer keep chickens, or rather I do – my house is full of them and I even have them in my office at work. However, none of them has a pulse. 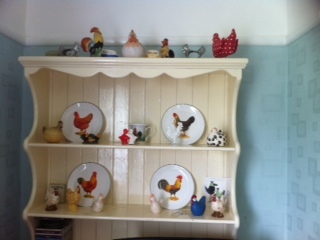 I have a dresser full of them in the lounge, two chicken clocks, chicken garden ornaments, chicken mugs and biscuit tins, chicken plates…you get the idea. I don’t know what it is about them exactly. I think they connect with my idea of a more simple life – growing my own food with a few hens in the garden. 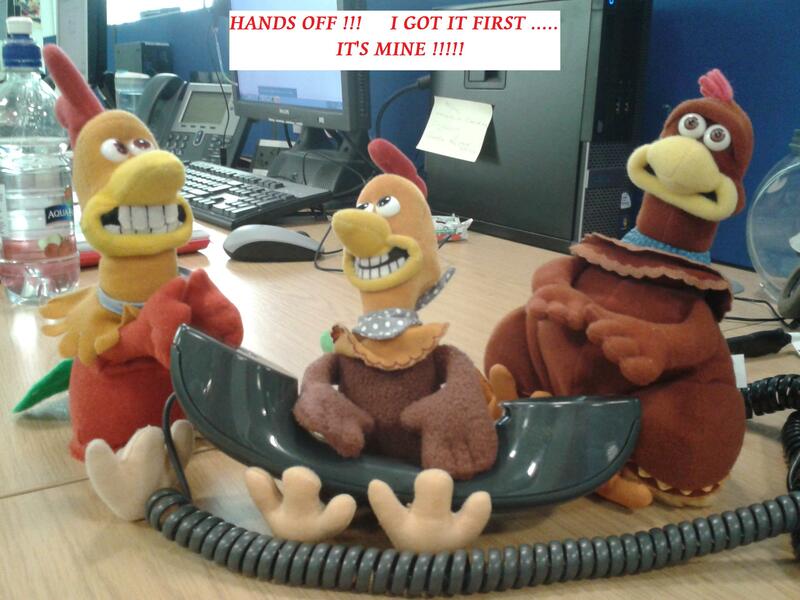 My work chickens. They have been kidnapped and held to ransom but made it back to me! I will go back to keeping chickens, but in the meantime I will make do with my ornamental ones. I have had a productive morning, cleaning and organising the house and sorting out some things for DD1 to sell at her boot sale tomorrow. Let’s hope the weather holds so that she gets lots of customers. The garden is calling though. We were given lots of free wildflower seeds at the Chelsea Flower Show, so I want to clear the wild area – which is just a bit too wild – and make it into a large bed of fabulous wildflowers for the summer. I also have lots of veg to pot on and plant. Mr S keeps turning up with more plants that people have given him! « Not Enough Hours in the Day! I had no idea you once raised chickens! Wow! Your collection is adorable.